What Does Walnut Wood Look Like After a Few Years? What Does Walnut Wood Look Like? What does walnut wood look like? 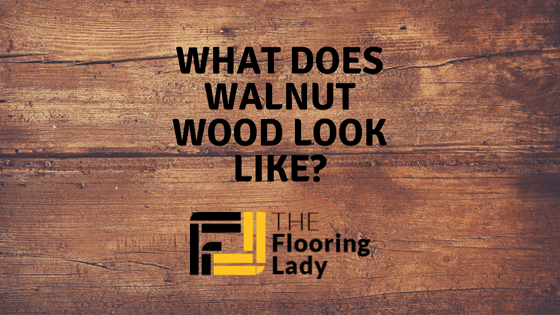 This isn't the easiest question to answer as there are many species of walnut; some are natural and others are the results of man-made blends. This leads to quite a bit of variation in color, yet not so much in striation. There's no denying that walnut wood can make shopping difficult. However, once you're familiar with the properties and variations you can plan for the future. This article will help you do just that by answering a few questions. You'll learn how to distinguish what's real wood and what's manufactured so you're not fooled by a walnut veneer. We'll also provide you with information about the three walnut types that are always in high demand at any given time, and what makes them similar as well as what sets them apart. Related: Check out our selection of the best kinds of hardwood flooring. Complete with reviews and comparisons especially for you! Before you ask yourself 'what does walnut wood look like' first you should know about some of its properties. You should also know how to distinguish real wood from manufactured wood so you're sure you're not paying top dollar for composite materials. Look for signs of end-grain. This is one of the easiest ways to spot the identifying markers for real wood. You could also look for burls and curls as these are very distinctive of walnut in all its varieties. Check for patina too, as well as the weight of the wood. Walnut wood is a hardwood which means it will be relatively heavy. Walnut wood comes in quite a few types. The rarest of them all is Black Walnut. This is also one of the strongest and most durable. Although Black Walnut begins with a very coffee-like color, this changes over time. In this case the color tends to brighten, eventually reaching a golden brown or honey-like look. This variety is often used for fine or antique furniture, and even musical instruments. It also has great resistance to carving, which is why pieces of Black Walnut usually come with a lot of detail on them. What's even more interesting about Black Walnut is that it's one of the easiest to work with from either direction of the grain. It's also quick and easy to polish, which is great for fine furniture making and sculpting. 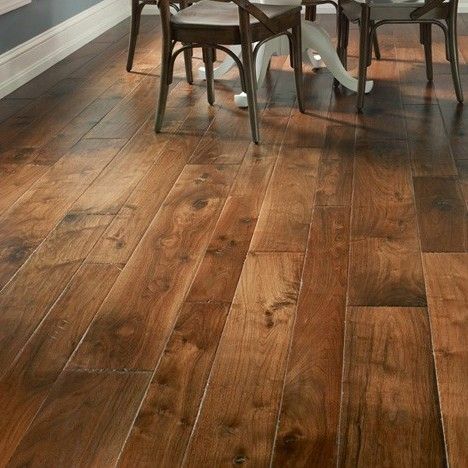 Black Walnut is also a popular choice for hardwood flooring. Although the discoloration is also a factor, the treatments applied to flooring seem to preserve its original color for much longer. That's not to say that closing the blinds when it's really sunny outside is not a good idea, as direct sunlight can cause discoloration in different parts of the flooring. Like Black Walnut, English Walnut is also used in cabinetry, flooring, and instrument making.In addition, it's also used in outdoor construction and the automotive industry. Its resistance to carving makes it one of the most popular materials. Although pricey, English Walnut is also used for detailed and very expressive gun stocks. Apart from being easy to work with, it also makes for a very durable stock. Initially, the wood is marbled and has plenty of mineral lines. The grain is one of the finest. Color-wise this wood can fluctuate quite a bit. The heartwood goes from pale brown to a dark brown with even darker lines. The sapwood is the total opposite as it's very light colored. English Walnut tends to lose its color after a few years. After the pale phase ends, a honey-like color will soon emerge from the wood, once again giving it life, so to speak. 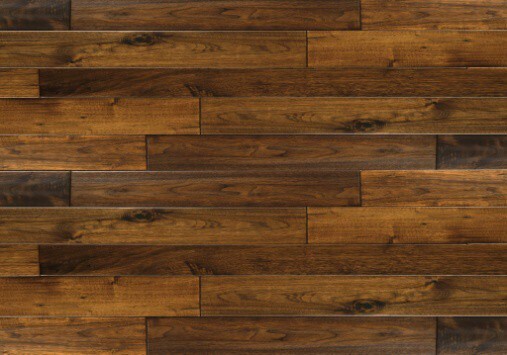 Claro Walnut also varies in color. This happens because the tree is a blend of either Black Walnut or California Walnut. It may seem odd, but since the Claro Walnut is usually light colored, the combination with a darker species does a lot to improve the color. It's also interesting that Claro Walnut seems to grow quite fast on the West Coast. This does make it a bit more affordable than the other variations because of the higher supply. Of course, just because it's cheaper doesn't mean it's any less useful. The Claro Walnut maintains almost all the properties of Black Walnut, including its durability, strength, bending qualities, and the ability to resist plenty of carving. Because of this, it is often used in fine furniture, gunstocks, instruments, and even veneer. Depending on what part of the tree you get, Claro Walnut can have dark brown tones and even reddish tones. The streaks and lines are very similar to other walnut variations, although they are visibly curlier. Whatever type of walnut wood you chose to go with, you should expect to see some discoloration over the years. A good way of avoiding this is by picking appropriate furniture or ornaments. If you install walnut flooring, permanent furniture and other fixtures will prevent the surface underneath from changing its color. 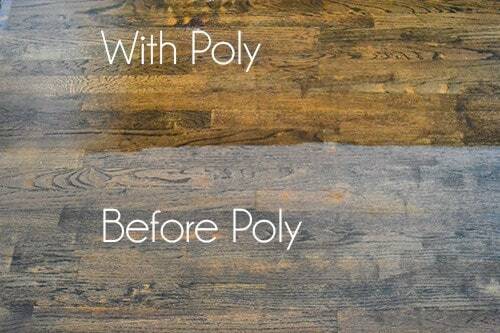 That doesn't mean you can't use something like a polyurethane coating to maintain your walnut flooring for a few more years. Check out the difference in dark walnut flooring before and after the coating was applied. It's not uncommon to see an entire table go from dark chocolate brown to light brown in four or five years while the wood underneath the lamp or vase is still dark. On the other hand, cabinet doors, headboards, and even sculptures tend to be much easier to maintain. Flooring is a bit trickier to maintain due to high traffic, rug placements, and direct sunlight. These are all factors that trigger discoloration. You may be able to get away with a few stains here and there as the color of walnut is notoriously known for being uneven. So what does walnut wood look like after a few years? It looks different for sure. Depending on which type you get, in a couple of years, you'll either be looking at a lighter color or a darker one. However, it's very common that the end result will be a honey-like, light-brown color for all three major types of walnut wood floorings. ​Fun facts - Have you always wondered about the history of wood flooring? Well check this out!